It is unclear to me why Lyndsey Layton of the Washington Post feels the need to turn a story about an exciting new teacher prep program at Harvard into a quasi hit piece on Teach For America. The headline and even the first couple of paragraphs focus on a unique and ground breaking teacher preparation program rolling out at Harvard University with an initial class of 24 students and $18 million in funding. Suddenly, halfway through the article, Teach For America pops up along with the implicit critique that it doesn’t work, despite mountains of evidence that it works just as well or better than traditional teacher training programs. The irony is that honest people with a working knowledge of traditional preparation programs know that, for a variety of reasons, they have not done a very good job of preparing teachers for the real life classroom. More than two thirds of teachers say they were not adequately prepared to teach when they started. When you ask principals, the number is even higher. Teach For America exists precisely because the traditional teacher pipeline is not meeting the needs. New teachers were choosing not to work in some of America’s highest need schools and hard-to-staff specialties like math and science. Shortages in special ed and bilingual ed are also common in many places. The current teacher prep model simply isn’t working. When you’ve worked beside TFA corps members, as I have, the constant criticism gets tiresome. When your own children have been blessed to have TFA corps members as teachers, as mine have, the attacks on them as incompetent, untrained, and uncommitted gets old, largely because it doesn’t sync with your reality or your day to day experiences. New teachers are new teachers. Period. They all feel overwhelmed in the beginning, they all need support from people with whom they connect and trust, and they all experience a very steep learning curve in those first couple years. Some have it easier than others with smaller class sizes or greater resources but I don’t know anyone, myself included, who would say it’s easy in the beginning. Truth is, good teaching is never easy but the wisdom that comes with experience does help to mitigate much of the overwhelming stress that most feel in the first year. Teach For America isn’t a silver bullet nor has it ever claimed to be. But it has filled an important need, often in schools where the needs are greatest and teacher recruitment is hardest. 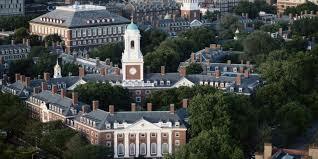 So let’s celebrate the exciting new program at Harvard without taking unnecessary cheap shots at Teach For America.